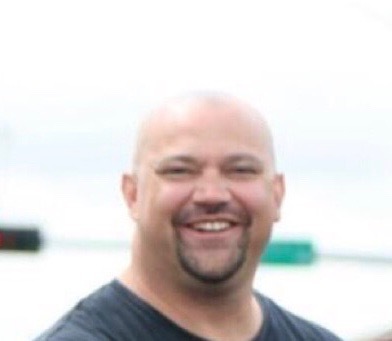 Sammy Armenta, Jr. 42 of Bloomfield, NM, passed from this life on April 7, 2019. He was born June 1, 1976. He is survived by his loving wife of 10 years, Monica Armenta, children Sammy III and Michelle, step-children Siera and Shawn (granddaughter Sariah), Brooklynn and Nick. Parents Sam and Nina Armenta, father-in-law Leonard Barela, Sr., sister Angela (Mike) Johnson, nephews Austin, Reese and Heath Johnson, many aunts, uncles, cousins and dear friends. Preceded in death by his grandparents Faustin and Rose Armenta, and Myra Budd, Mother-in-law Hilda Barela, and Uncle Joe Armenta, Richard Armenta and Jerry Armenta. Sammy graduated from Bloomfield High School in 1994. He worked for Kinder Morgan for the past 20 years. Sammy's life was complete when he met his wife Monica, and together they created a beautiful family. His children were the light of his life, the true love and happiness he found was a once in a lifetime. He had an amazing gift of love for his family. Sammy was very passionate about his family and friends, but most of all there was no greater love than the love he had for his wife and kids. Sammy loved to help coach his kids and always had them very involved in sports. Sammy loved hanging out with family and friends, cooking and camping. He was loved by so many. Sammy was one of a kind and losing him will be felt by many. There will be a rosary on Friday, April 12th at 7:30pm at St. Mary's Catholic Church in Bloomfield. The mass will take place at 11:00am on Saturday, April 13th at St. Mary's Catholic Church. Pallbearers will be Adam Gurule, Jonas Armenta, Eric Burham, Bruce Armenta, Rick Candelario, Aubrey Edge, Mike Johnson, Micah Bingham and TJ Burnham. Honorary Bearers will be Sammy Armenta III, Daniel Headrick, Nick Hall, Bob Armenta, Reese Johnson, Scott Bohannon, Heath Johnson, Lance Bennett, Austin Johnson and Reggie Maez. Interment will follow at Memory Gardens Cemetery. There will be a reception following the burial at Bloomfield High School in the Commons Area.